The SCA Expo is the single largest coffee trade show in the world. Previously known as SCAA, the Expo has now combined into a massive show that brings in thousands of growers, green buyers, vendors and scientists from around the globe. This year, KCFA sent a representative to see how the show has grown and to consider whether to be more actively involved in the future. 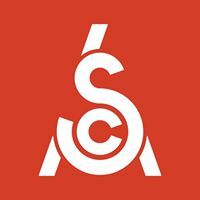 The SCA show is divided up into different segments. Purchasing a “floor pass” gets you access to 3 days of lectures, hundreds of vendor booths, coffee cuppings, a dizzying array of activities and local roastery tours. For the truly committed, there are add-on trainings and the Re:Co symposium (Think TED Talks for coffee). It would benefit almost every farmer to go at least once. While there, I took many notes and will try to spin out more newsletter articles on the lectures I attended. I believe KCFA has a place at such an event. Kona is represented at the show through the Hawaii Coffee Association booth. 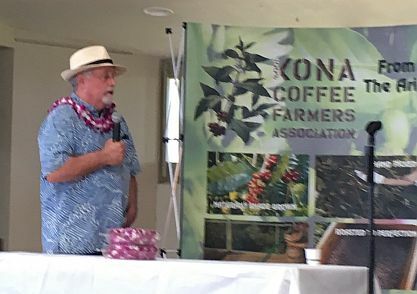 However, HCA focuses on a balance of coffee from around the islands and does not specifically promote Kona in a way that could benefit our growers. Perhaps it’s time for us to consider carrying the flag again, and promoting our heritage crop to the world through SCA. WHERE: Bob Nelson & Bob Smith, at Bob Nelsons’ Farm located makai of the Kona Joe sign in Kainaliu, along Mamalahoa Highway. Drive down; parking available on right. WHY: Choose the best vertical/shoots from among the new growth following the pruning completed a few months ago. Select vigorous shoots to insure high yielding verticals for the crop in 3 years. For those concerned about protecting regionally identified agricultural products, review of the entire publication is important. There is an “Executive Summary” for the broader FAO publication at pages xi-xviii. A “must read” for KCFA members is the separate section (pages 83-90) on Kona Coffee. “The specific qualities that origin can provide emerge clearly as a pathway to positive economic impacts. This correlation between the quality defined in the specifications and economic impacts is based on various mechanisms… Kona coffee producers, on the other hand, have no agreement regarding the rules for using the GI – and this puts the reputation at risk in the long term. Page 90- An important reference noted in the Kona Coffee section of the publication is the Marvin Feldman study, “Economic Effects of Blending Kona Coffee”—a study initiated and funded by the Kona Coffee Farmers Association. To read the Feldman study, click HERE. UH-CTAHR’s Cooperative Extension and the HCA invite you to participate in a “Coffee Quality Workshop. This workshop will provide detailed information on how quality coffee producers create high-scoring coffee. Specific techniques will be tied to cupping point increases so that farmers can choose the techniques they wish to use. Participants will learn strategies on how to prepare for coffee cupping competitions and auctions, including steps from farm level through to storage that will help make them a competitive entrant. There will also be discussions of how points are gained and lost in cupping coffee. 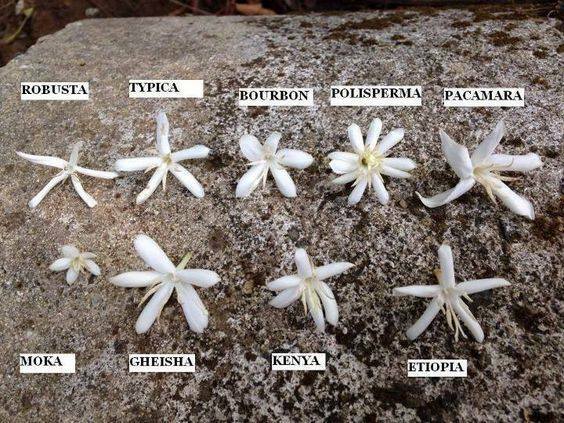 The workshop will cover growing, picking, processing and storing high-point coffee. In addition, workshop participants will learn how to successfully execute a variety of processing methods: Washed, Natural, Honey, and the risks and potential rewards with each. 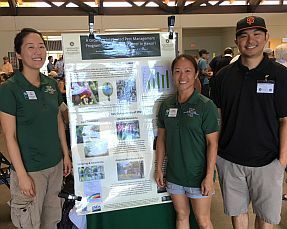 The CTAHR Farm Food Safety Team, in collaboration with Hawai‘i State Departments of Health and Agriculture, has released a new video on Rat Lung Worm (RLW) disease prevention. 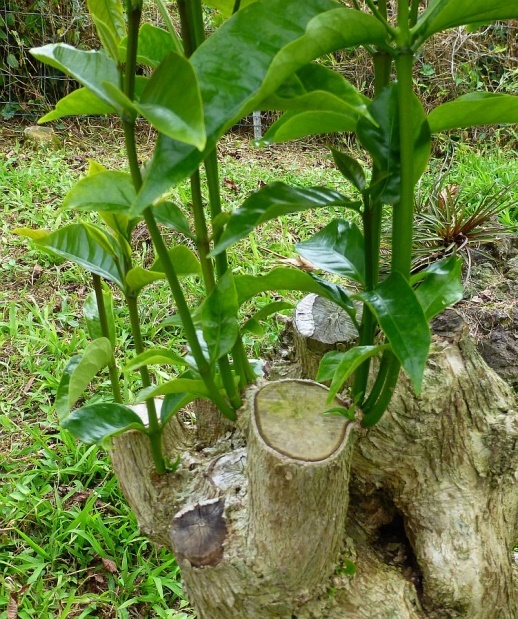 It describes common slugs and snails found in Hawai‘i that may carry the parasite, explains how to find them in the garden and what sort of conditions they like, and gives tips on how to make the environment less appealing for them. Some things to do include cutting back vegetation so the pests have less places to hide, creating raised beds, and not leaving pet food out overnight. It also describes methods of deterring, trapping, physically removing, and killing slugs and snails. This is a potentially scary disease, but this video offers practical and down-to-earth advice that can help. The Hawaii County Democratic Convention was held on April 28. Bruce Corker proposed the following resolutions, all of which were accepted. In a medium saucepan, combine the evaporated milk and coffee; cook over low heat, stirring occasionally, until it just starts steaming. In a separate bowl, whisk together the egg yolks and brown sugar. Add ½ cup of the hot milk to the egg mixture, whisking constantly, until the mixture is thoroughly combined. Add the warm egg-milk blend back into the hot milk in the saucepan and cook over low heat, stirring constantly, until the mixture reaches 165 degrees on a digital candy thermometer. Remove from the heat and stir in the softened gelatin. Chill the coffee custard thoroughly. Beat the 1½ cups of cream in a separate bowl until stiff peaks form. Thoroughly stir ½ cup of the whipped cream into the chilled custard, and then gently fold in the remaining cream. The coffee mousse is ready when the custard is thoroughly incorporated into the whipped cream, and no marbling shows. Serve the mousse chilled.